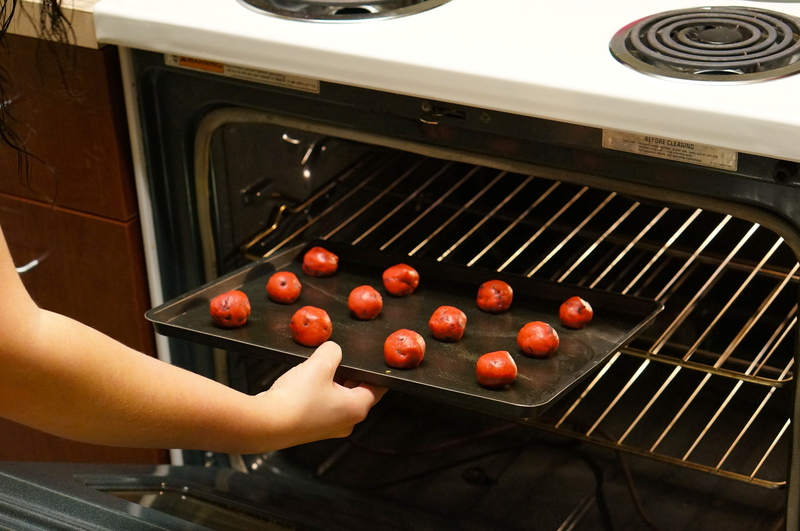 After seeing how many intensive and time consuming Valentine’s Day foods and crafts were on Pinterest, we decided to try something that looked pretty simple. 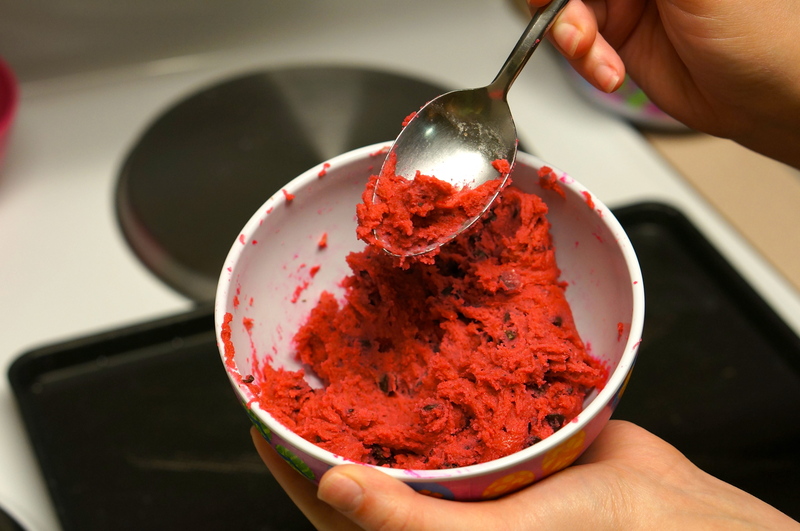 We had seen several pins stating that if you add food coloring to regular cookie dough mix you can make fun and festive cookies. 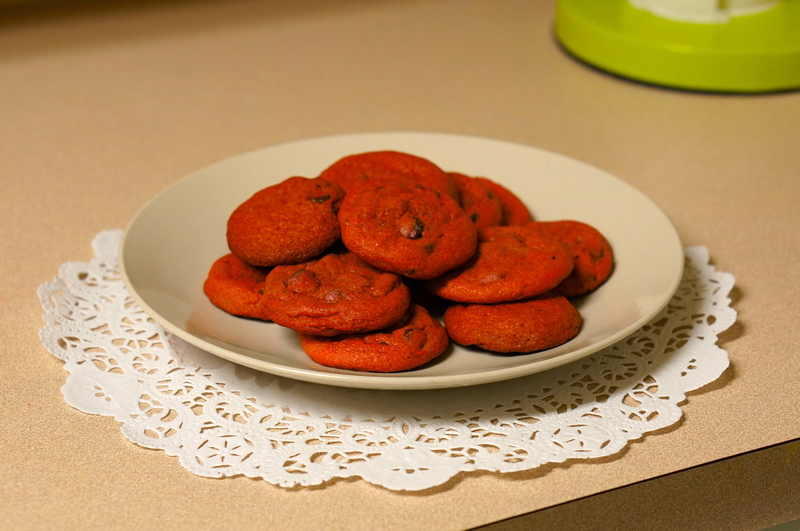 We decided to try this with hot pink food coloring for Valentine’s Day. This is a great last minute Valentine’s Day recipe perfect for people of all ages, and is especially a hit with little kids. 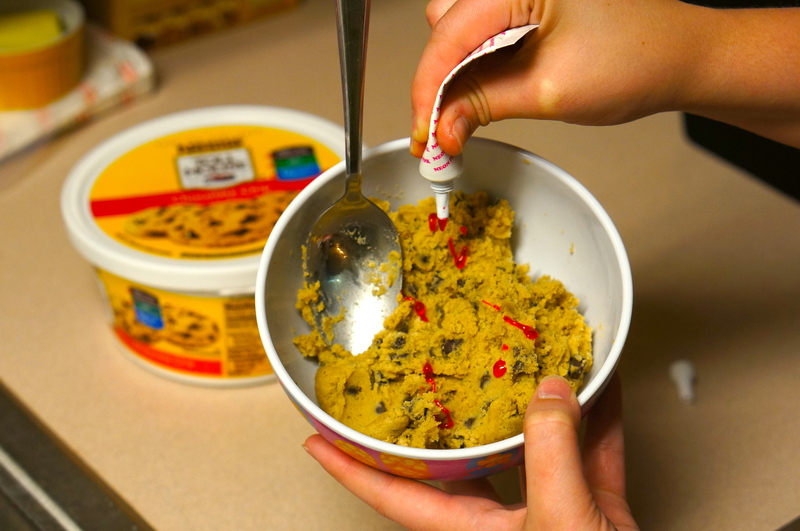 Place the amount of cookie dough that you would like to bake in a bowl. Then mix in pink food dye. The dough is kinda hard to mix, so you may want to trade off with someone or let the dough thaw a little (Even when thawed it still takes a lot of elbow grease). 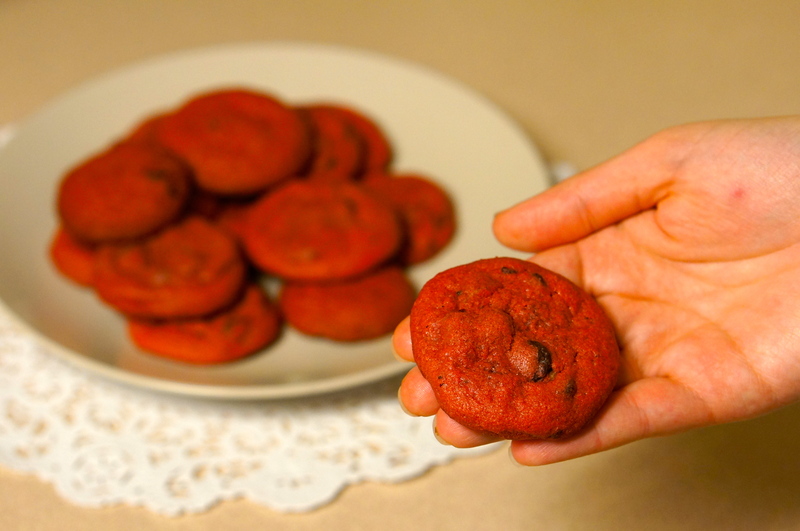 Continue to add food dye until you get to a desired color. We wanted ours really bright so we put quite a bit (ours was practically glowing). Roll dough into little balls and place on pan to bake. Bake them according to the packaging (make sure not to let them overcook, so that they do not turn brown). Here’s our finished product! They didn’t turn out as great as some of the pictures we saw online, but they are still pretty cute, and a good conversation starter. If you are looking to make a last minute Valentine’s Day dessert, it’s a perfect option. We also saw some online where they added white chocolate chips, which looked really cute. If you try it let us know how it turns out! Like we said, they turned out cute but weren’t exactly what we were expecting. We would still recommend it though as a fun and easy dessert to add to your Valentine’s Day spread or as a cute surprise in your child’s lunchbox. These are super cute!! Kids love making diffeent colour cookies… green for St. Patrick’s day, red for Xmas etc. These are super cute! Really cute!! HAPPY VALENTINE’S DAY! Love those cookies. Happy Valentine’s Day Shenanigans!